You’ve got a hobby that you know you can make a few bucks with… if only people knew what you were selling. The Internet is a great place to earn a few thousand dollars every year… in your spare time, without a huge financial commitment. You want to increase your market share. Maybe you’re selling a million dollars worth of inventory a year… but you probably don’t get any orders at 3:00 in the morning. One of our clients got over 1,600 orders their first full year of selling online! For them it was all gravy as their business is a traditional brick and mortar. You have a passion for garage sales and an eye for a bargain. Instead of letting all of that good junk pile up in your basement, open your online store and invite customers to browse through your inventory while you are out scrounging around for more bargains! You want to start a business but your funds are limited. The number one reason for the failure of small business is being under-capitalized. With an online store your overhead is a fraction of a traditional business. You’re an artist or a photographer and you’ve got prints or paintings to sell. Exposure is the number one key to getting your work known. Going to the flea markets is slow and painful. Getting your work in the galleries can be slow and painful.Even if you are fortunate enough to have great exposure on the busiest corner of the world… it still can’t hurt to have a store working for you… day and night… rain or shine. You’re stuck at home and unable to work a conventional job. Whether you are a homemaker, retired, disabled, or just stuck, you too can produce a tidy income with an online store. You don’t even have to keep inventory or leave home for anything. Your profession is seasonal… and so is your income. 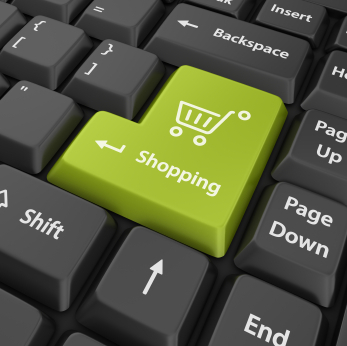 Setting up an online store is the perfect way to help balance your checkbook… year round. You’ve got a great idea for a book or a weekly newsletter. Unfortunately the cost of traditional publishing is prohibitive for most of us. With an online store you can profit from your knowledge without leaving your home or living under a financial burden. Your business is located in one of the many great vacation places of the world. Your customers are a happy lot enjoying their two week holiday without a care in the world. Well… except that they are worried about running out of money and if they buy that gold necklace with the pretty pink conch shell… they might not have enough money to get back home.Nothing to worry about if you have an online store. The customer will visit your shop from home while they re-live the wonderful experience that they had while on vacation. And now… they probably have a little more disposable income, and wouldn’t that pretty pink conch shell help them preserve those memories? You’re an entrepreneur with no talent to speak of. You don’t write, paint, make leather belts, or even crochet. You don’t have the room to store your inventory and if you did you couldn’t afford to buy it.Don’t despair. Let us show you how to set up a store, take orders, collect the money, and let other people ship the products that they have stored for you.